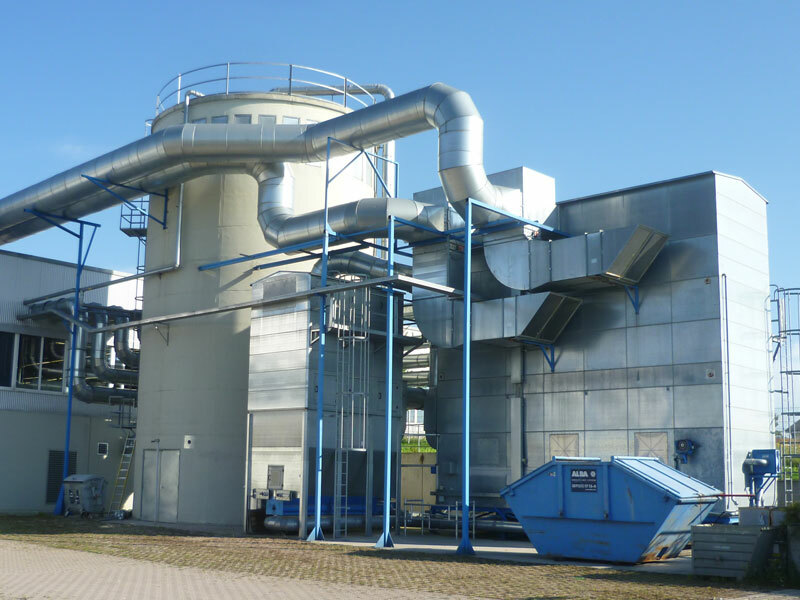 mütek Systemtechnik offers filter systems for outdoor and indoor installation as well as for clean air and raw air operation. The filter systems are designed according to BGI 739-2. 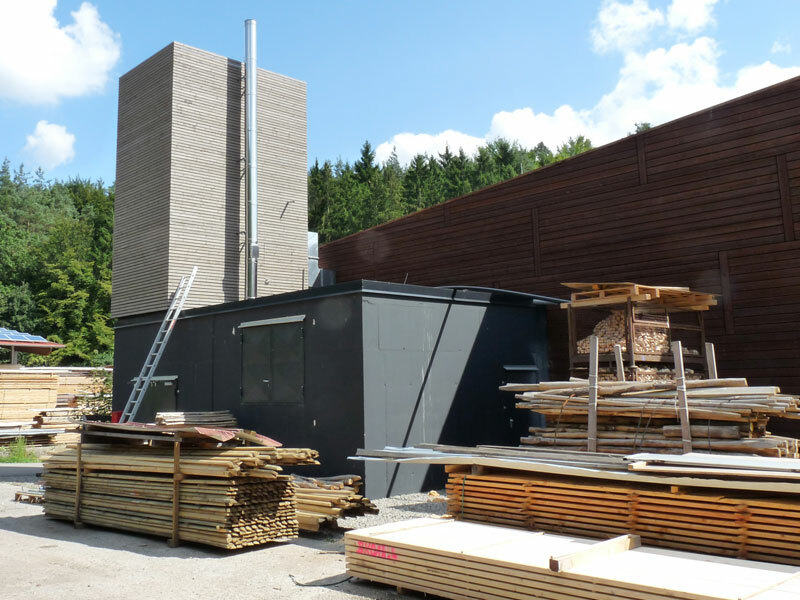 The filter area is freely selectable from 20 to 1,000m². 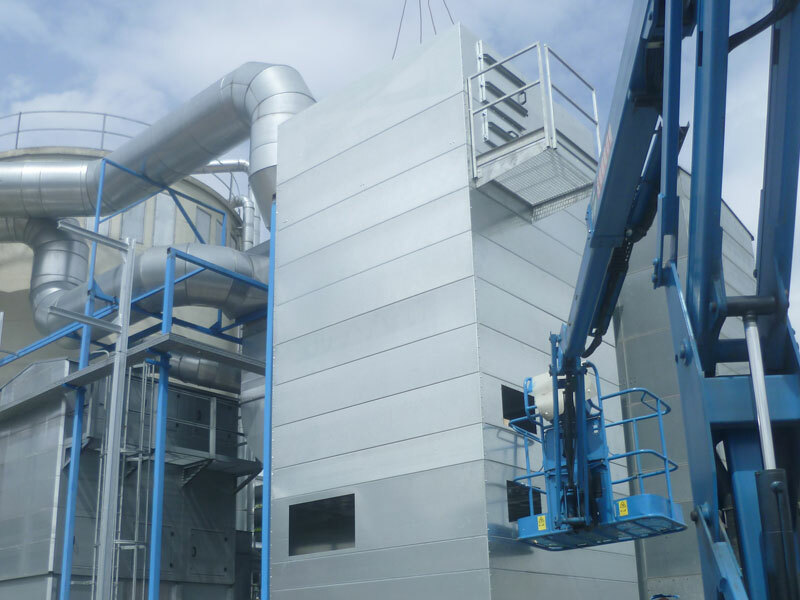 We build the filter system according to your needs: silo installation or silo top-up filter, as a free-standing unit for intermediate or final separation; optionally with mobile containers, with rotary valve, stirrer or briquetting press for overpressure or underpressure operation. Filter systems are available on a steel frame for loading containers, the discharge is carried out without pressure via a rotary valve gate. The mütek filter systems are supplied with all necessary safety devices. The jet cleaning ensures trouble-free continuous operation. 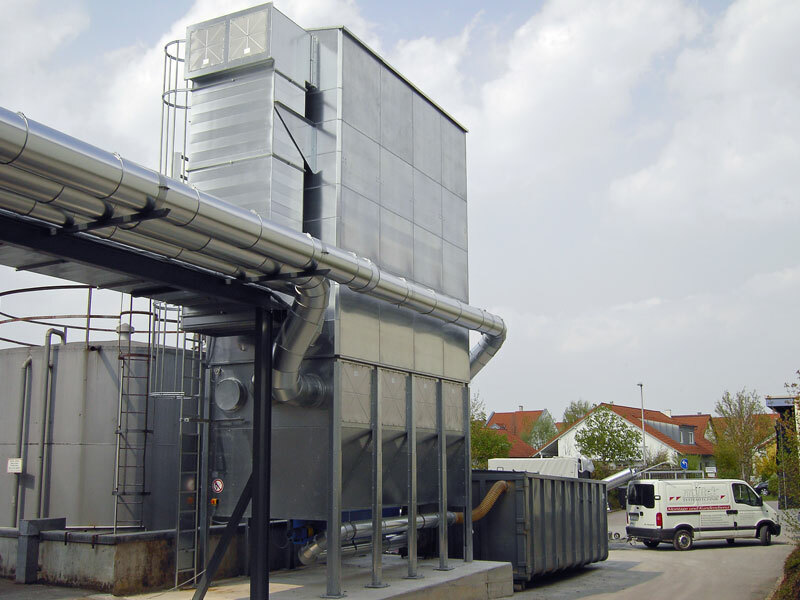 For energy saving, the systems can be operated with 100% air return. mütek Systemtechnik also offers frequency-controlled fans.